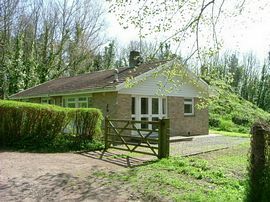 Woodlands Cottage nestles amongst the trees on the edge of Ringstead Wood, which lies about half a mile from the sea. 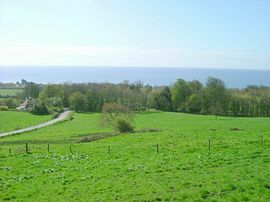 You can catch glimpses of the sea through the trees, which are at the rear of the garden. The very large fully enclosed lawned garden faces south and is ideal for children and dogs to play in. Ringstead Bay offers glorious walks along the World Heritage Status Dorset coastal path. The Jurassic coastline gives the appearance of being carefully drawn by a talented artist! The area has an appeal through all seasons. A rambling walk across the coastal path during wintertime offers winter colours, with a sea that can change in seconds from a dull grey to soft mauves highlighted by milky waves. 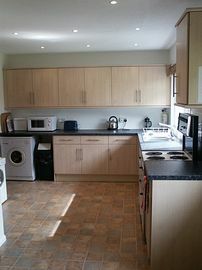 Accommodation: Ground floor via the rear of the property; Large kitchen with separate dining area. 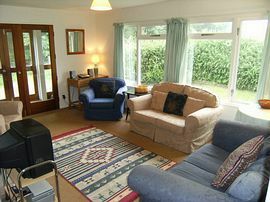 Lounge with open fire (logs provided Autumn-Winter). Bedroom 1, double bed. Bedroom 2, twin single beds. Bedroom 3, twin single beds. Bathroom with bath, hand basin and toilet. Second toilet with hand basin and shower. Ideal for the elderly being on ground floor level. Services in addition to standard equipment: - Oil fired central heating, Fridge-Freezer washer-dryer, CD Player-radio, DVD player. Private off road parking for 2 cars. Fold out Z bed available. Garden with table and chairs. Linen is available to hire. £14 for double and £7 for single. Please state when booking. Local Services: A short walk from the cottage will take to a picnic area, where you will find a seasonal shop for provisions and the early morning paper. Minimum is: £445 and Maximum is: £943, plus the £18.00 booking fee on top of all bookings.